MADISON, Wis. (AP) — Wisconsin Gov. 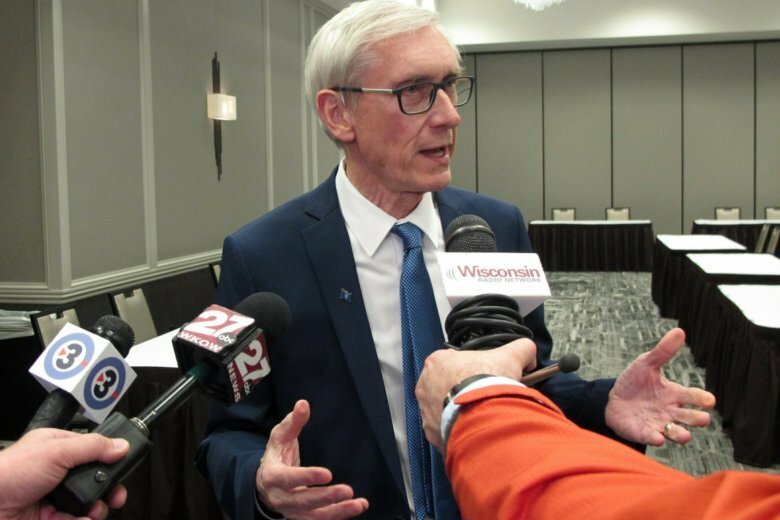 Tony Evers announced Monday that his budget will include proposals to decriminalize possession of small amounts of marijuana for personal use and legalize medical marijuana. The new Democratic governor said it was time for Wisconsin join more than 30 other states and the District of Columbia in legalizing medical marijuana. The governor, who previously advocated for decriminalizing marijuana, noted that citizens in 16 counties and two cities in Wisconsin voted by significant margins in non-binding referendums last year to approve medical marijuana. “As a cancer survivor, I know the side effects of a major illness can make everyday tasks a challenge. People shouldn’t be treated as criminals for accessing a desperately needed medication that can alleviate their suffering,” the governor said. Under the proposal, a physician or a practitioner under the direction of a physician could recommend the use of medical marijuana to alleviate symptoms related to medical conditions such as cancer, glaucoma, post-traumatic stress disorder, chronic pain, severe nausea and seizures. The proposal would decriminalize possession, manufacturing or distribution of marijuana in amounts of 25 grams or less. The plan also would establish an expungement procedure for individuals convicted of possessing, manufacturing or distributing less than 25 grams of marijuana who have completed their sentence or probation. Evers also wants to get rid of the yearly physician’s certification needed for use of cannabidiol, also known as CBD oil, which is used to treat seizures. But his proposal is unlikely to win approval in the Republican-controlled Legislature. Senate Majority Leader Scott Fitzgerald, a Juneau Republican, has said he opposes medical marijuana and isn’t sure such a law could pass the chamber. emocratic Attorney General Josh Kaul has said he supports legalizing medical marijuana to help people deal with pain and provide the state with new revenue.